Visiting Mai Chau, have you experienced the exciting campfire with indigenous people? If not, you should not miss this article and the ideal location of Lac village. Campfire in Mai Chau is a cultural feature here. When the campfire burned is also time for solidarity rises. People from all places enjoy with the same heartbeat. All the hardships and pressures of life quickly fade away. In here, you can scream without fear of being penalized. That is also where love begins for the couples. Located in the west of Hoa Binh province, adjacent to Moc Chau district, Son La province and Quan Hoa of Thanh Hoa province, Mai Chau valley is the destination of various domestic and foreign tourists to immerse themselves in nature and examine the life of the Thai people. 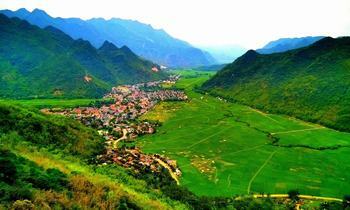 Lac village is a tourist attraction in Mai Chau. With the advantages of convenient transportation and reasonable prices, it becomes a favorite spot for many young people to rest on the holidays or the weekend. Lac village is as a gift of mountains and forests for those who love the peace and quietness to join the abundant green space of Hoa Binh. It is also a place for a group of friends to explore the lifestyle of the highlands black Thai and white Thai. People living in this over-700-year-old village are mainly black Thai. They earn a living by raising rice and weaving brocade. 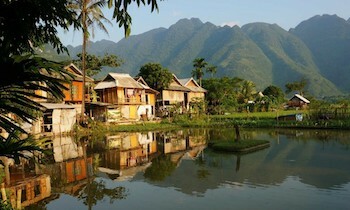 Going here, tourists may need some tips for renting a Mai Chau homestay. 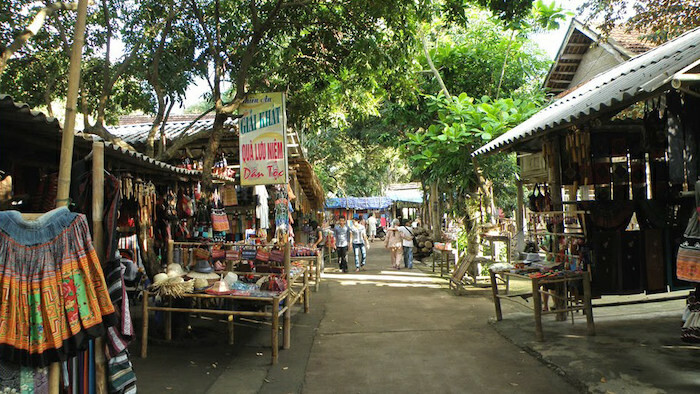 Take a walk around the village, various souvenirs such as scarves, Thai skirts, wallets, bows, crossbows, bamboo flutes, gongs, and buffalo horns are available there, attracting customers with all colors and shapes. With a Mai Chau valley trekking tour, tourists also can rent the traditional clothing of Thai people. Coming to Lac village, travelers cannot forget the night of the bonfire in Mai Chau, the cultural exchanges with the dance of the Thai girls, the music, barbecue, and wine, which make it a distinctive cultural feature that only exists in the village. The most attractive thing when visiting Lac village, Mai Chau is the combination of the campfire nights and cultural exchanges, dancing, and responsive singing. In the village, there are amateur art groups who are always ready to sing and dance to serve Mai Chau tours and to exchange with guests. They are the local boys and girls of all ages, enjoying the arts, dance, and love songs. Visitors will be stunned with every sentence, every dance, and the sweet wine. 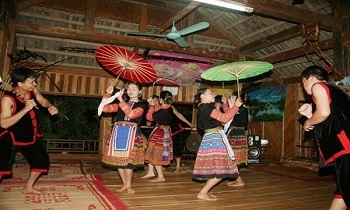 Thai people in the Lac village are very proud that the cultural activities in their daily lives not only are transferred to tourists in all regions but also connect the Thai ethnic community in Mai Chau. On weekends, the art team of Lac village often organizes special events, gathering all the boys and girls in the town to enjoy. 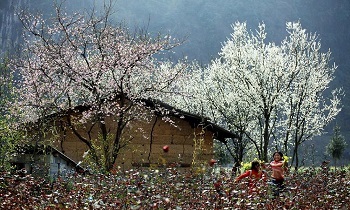 Tourists can see and also have a chance to play. But above all, it is the identity of the minority. People dance together, for others and create opportunities for young couples to stand by each other. 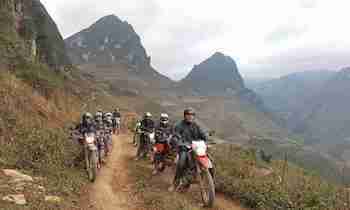 That is one highlight of the tour in Lac village, Mai Chau, Hoa Binh. From where you stay in the place, you can ask the host or people around the area to set a fire, which is located on the empty land on one side of the bridge of Lac village. In the daytime, this area is used to fly kites or play football, etc. In the evening, it is bustling with visitors dancing and singing around the flames. The campfire in Mai Chau is implemented by individuals or groups of people rather than the local so each of tourists can make a fire for their team. 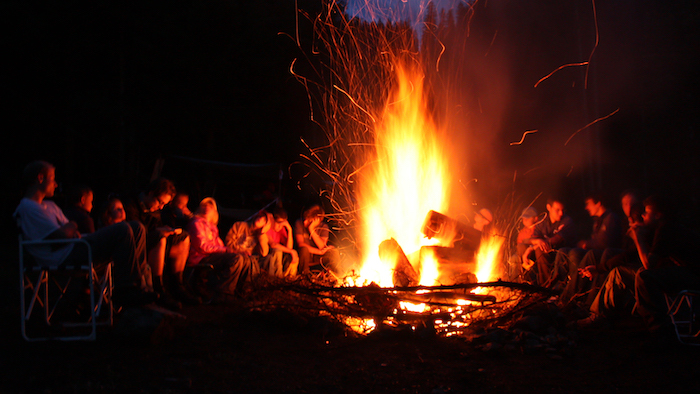 If you want to have a campfire for yourself, you should contact the host to book and rent some services such as music, karaoke, food on the spot, etc. Campfire in Mai Chau (firing at 200 meters far from the stilt house): VND 250,000 (3 carts of woods + land rent) + VND 50,000 for an extra cart of firewood. 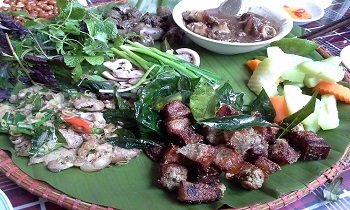 Besides, the stilt house will serve barbecue for the exchanging night: roasted pork, chicken, corn, potato, and cassava, etc. Art exchanges: VND 700,000 (performing in the yard which is 100 meters away from the stilt house). 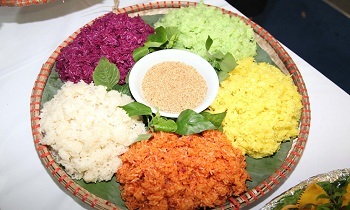 15 people will play in 2 hours, with traditional performances of Thai and Muong ethnic minorities (sing, dance, scarf dance, paper-fan dance, dance with the gong, H’Mong dance, knife dance, Northwestern dance, bamboo dance). Rental of speakers: VND 400,000/set without any screen and VND 450,000 with a filter. 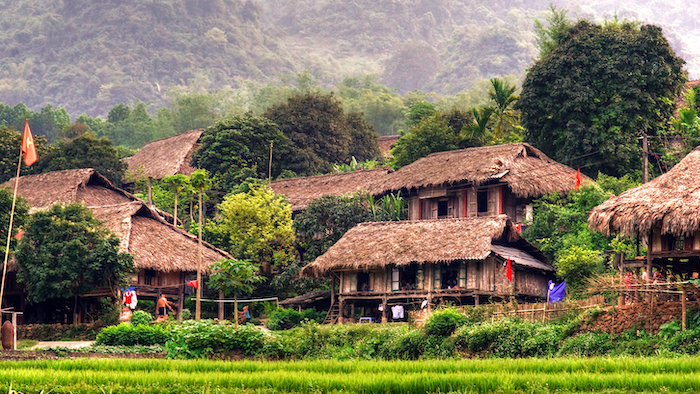 Lac village, Mai Chau is now a popular destination in the heart of many tourists. All the wildness, nature, and friendliness expressing in the art performance and the campfire activity in Mai Chau have made visitors traveling once cannot forget. If our suggestions are helpful for you, please like and share with others. Thank you.